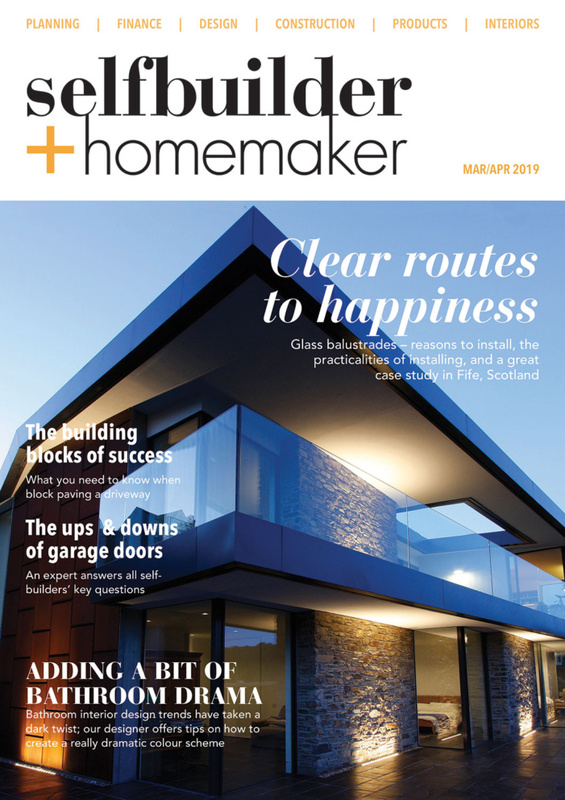 In a recent home improvement project, Granite Transformations has showcased examples of its extended range of makeover materials, services and fittings for the kitchen and bathroom, whilst displaying the current trend toward white and off-white decorative surfaces. 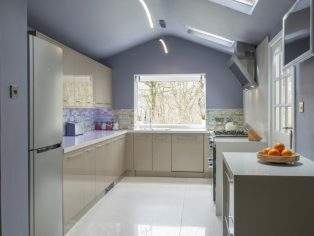 The kitchen of this detached rural Lancashire home, a 1980s new-build, now features stylishly refaced worktops, high gloss replacement cabinet doors, sparkling glass mosaic splashbacks, high performance hard flooring and modern appliances and fittings, in place of the previously dark and dated look. Upstairs in the bathroom, the elegant makeover theme is repeated with seamless, waterproof wall cladding, designer mosaic inserts, large non-porous floor tiles, metallic his’n’her basins, textured oak vanity furniture, large shower unit, modern bath and sanitaryware, refacing and replacing much more traditional decor. This broad brush approach is reflected in the featured kitchen makeover, where natural light from one gable-end window and a rooflight is maximised by Perla Bianca quartz worktops with integrated mirror fleck, tough, easy-clean Royal Ivory 1200x600mm floor tiles and elegant designer mosaic Metropolis Opal feature splashbacks. 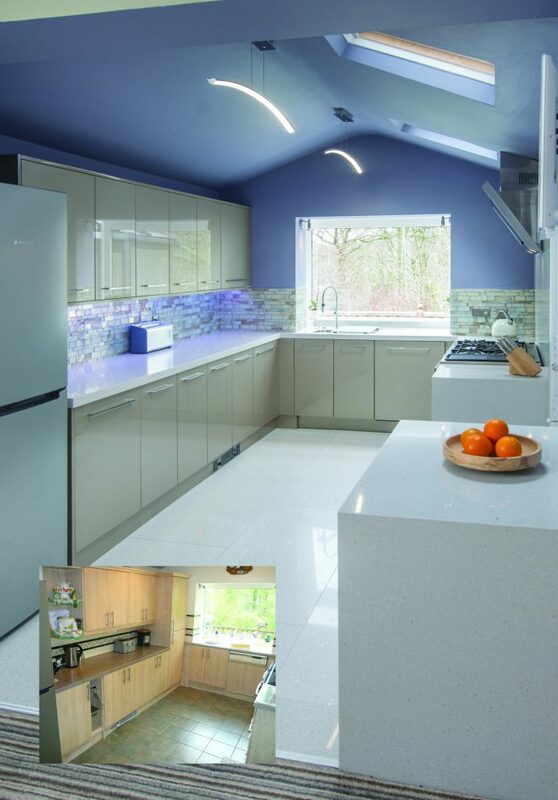 The original pine laminate cabinet doors have been replaced with High Gloss Champagne fittings and the adjoining dining area cabinets faced with Ultragloss Noce Marino timbergrain, all to maximise available natural and artificial light. The effect is bright, airy and spacious, illustrating a strong interior design trend toward white and off-white decorative finishes. 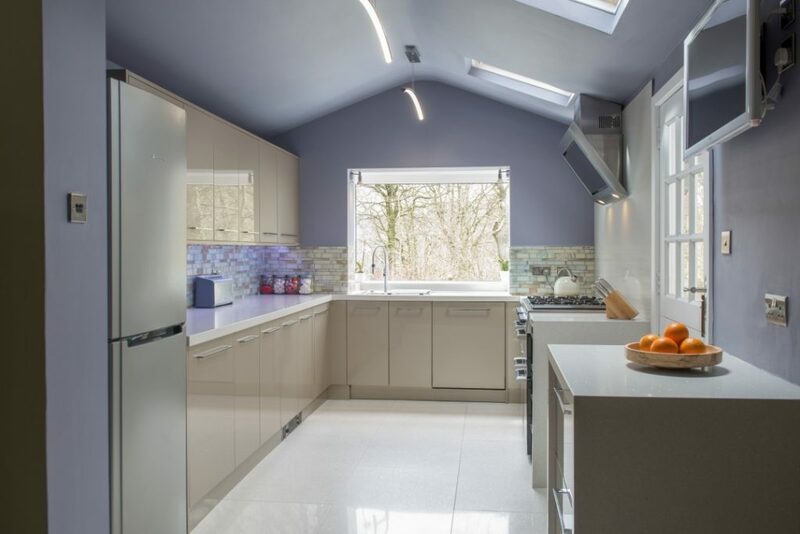 The remodelled kitchen layout also projects the ability of Granite Transformations showrooms to supply and fit all the necessary finishing touches, in this case sink accessories, oven, hob, extractor hood and colour-change lighting from Blanco. 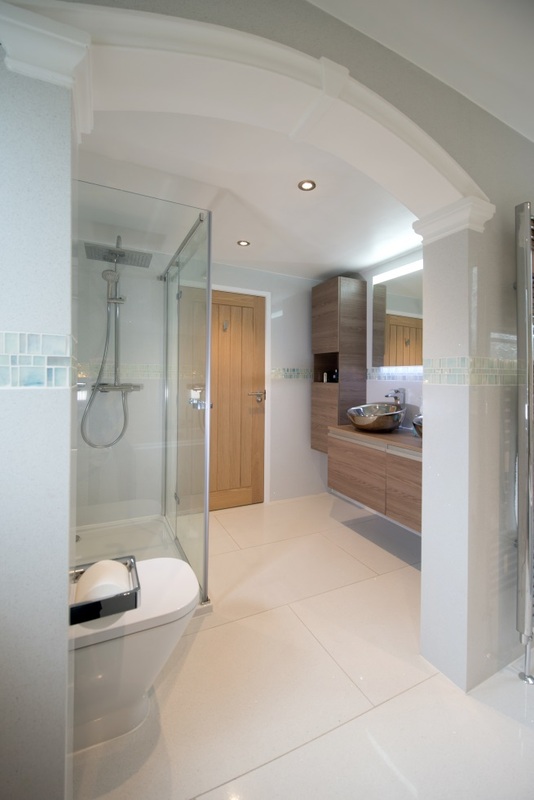 By coordinating the arrival of all fixtures on site, including lengthy prefabricated worktops and made-to-measure cabinet doors, and providing their own expert fitters, electricians and plumbers, Granite Transformations provides a truly all-in-one solution. This is repeated in the bathroom, where in this instance Roca bath furniture, sanitaryware, taps, shower fittings and accessories form integral parts of the complete Granite Transformations makeover. The seamless and fully water-resistant backdrop to these elegant fixtures and fittings is provided by Hydra White recycled glass agglomerate, one of the brand’s top-selling surfaces. Its outstanding technical properties, grout-free finish and generous 3m long slab size make Granite Transformations’ tough decorative surface perfect for bath panels, shower liners and coordinated floor tiles. Adding a sophisticated feature, is an eye-level frieze, using inset Liberty Pearl glass mosaic designer tiles to reflect the lighting and tone with stylish stainless-steel Roca countertop basins. 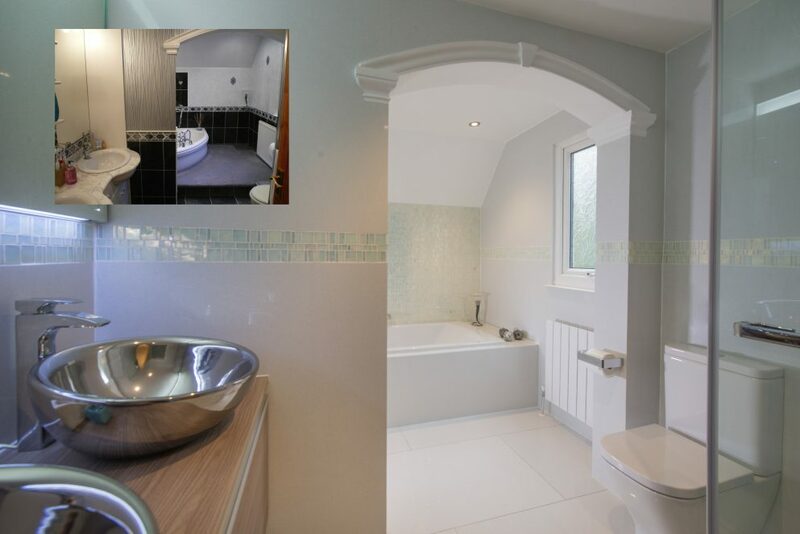 A large glass shower panel and Roca bathroom suite, together with carefully chosen accessories and a large mirror incorporating LED lighting, complete a fully remodelled interior that again produces a light, white, minimalist transformation. All these and many more complete kitchen and bathroom makeover solutions are available through Granite Transformations showrooms around the country. 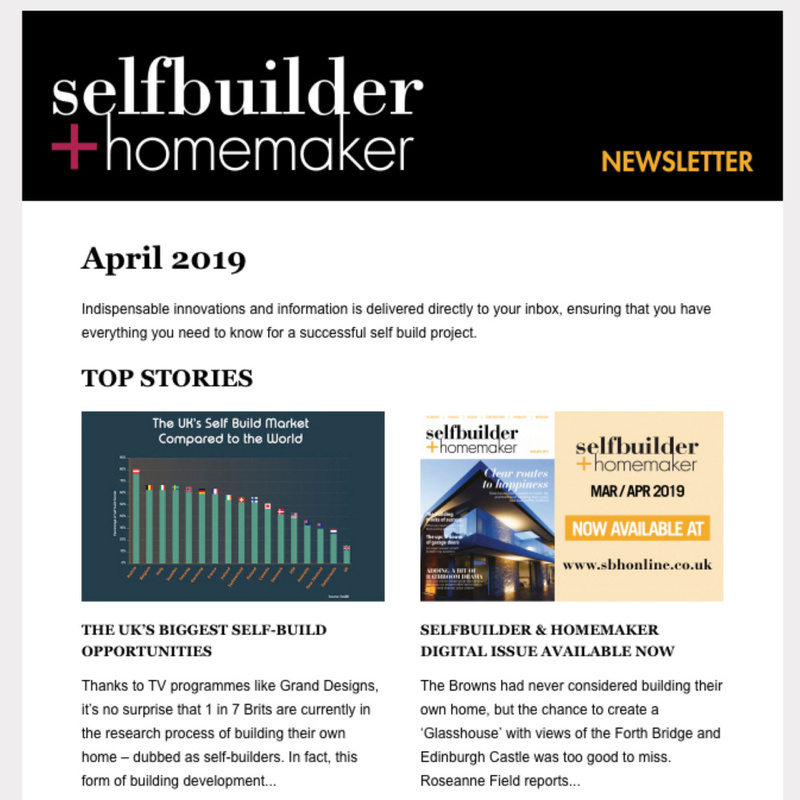 For nearest store and a complete rundown of all the materials, colours and finishes, visit www.granitetransformations.co.uk or ring our hotline on 0800 044 5393.